You can now listen to our Podcast on YouTube! All titles that have “[Podcast]” in the title are our podcast episodes, and are audio-only videos. All other videos are watchable video. However, there is currently a delay from podcast publishing to uploading on YouTube; therefore the podcast via YouTube will be on a different schedule than through your podcast listening apps. You may also opt-in to a monthly subscription of $0.99, $4.99, or $9.99 per month through our host by clicking here. Payment options include GPay or Credit Card. Don’t see your preferred podcast service? Email Red@RedConrad.com and we’ll get it added to your preferred podcast site or app immediately! If you decide you like what you hear in the podcast, and subscribe to one of our channels, please consider supporting the podcast & blog. 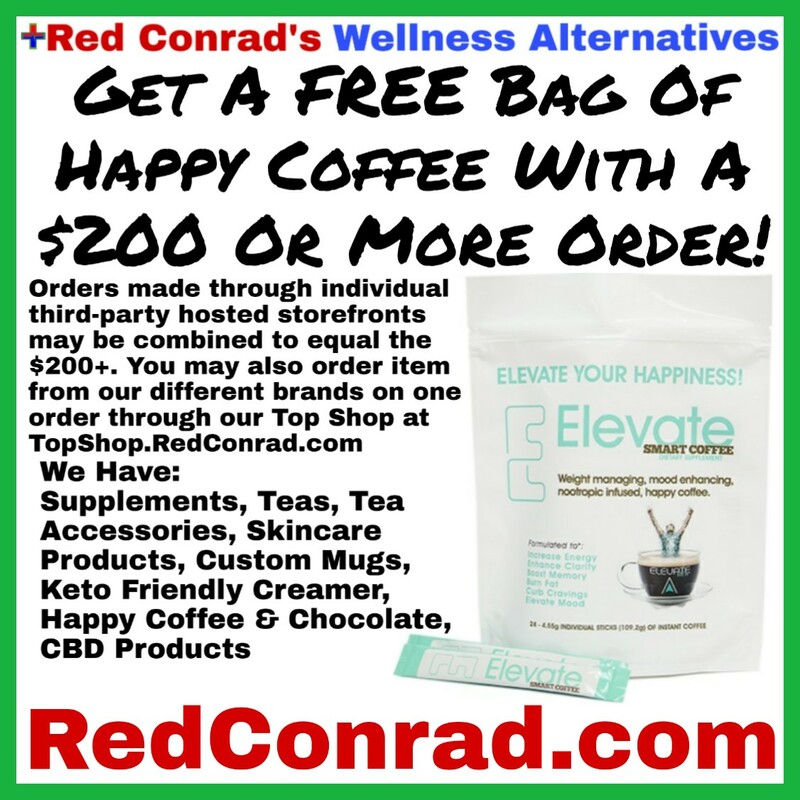 You can show support (and help the wellness fund) by getting and staying healthy with our products and/or by submitting a donation to PayPal.me/RevDrRed or Cash.me/$RedConrad as stated above. Your support is greatly appreciated. Full-length weekly episodes that will cover information on a single topic. Mini-Randoms – episodes that will discuss random topics at random times throughout the week. May last anywhere from a few minutes to full-length. The podcast will now have “mini-randoms” in addition to regularly scheduled full-length episodes. A mini-random is an episode that will happen randomly throughout the week at different times of day. They will be more conversational, interactive, and fun than the regularly scheduled episodes. There may be one to several in a week; some weeks may not have any. Mini-randoms could last anywhere from a few minutes to full-length, discuss one topic or bounce around to many. They will be tagged in the title with either [Mini-Random] or [M-R]; regular scheduled episodes won’t have any tags in the title. If you’re on the newsletter, don’t worry. This change won’t blow up your inbox. Podcast emails will still only flow once per week and link to each new episode that published throughout the week. If you’d like to be a guest on a Mini-Random to talk about anything or bring awareness to a topic, email me at Red@RedConrad.com with the topic(s) you’d like to discuss, at least two times and day(s) you’d be available to record, and your phone number; and where our availability matches, we will schedule the recording. After recording, once the episode is uploaded, you will receive a link to the episode. Mini-Randoms will be beginning within the next few weeks. These statements have not been evaluated by the Food and Drug Administration. Any and all products promoted in the podcast are not intended to treat, cure, or prevent any disease. Keep of out reach of children. Some products may not be suitable for individuals under 18 years of age. If you are pregnant or breastfeeding consult a doctor before using these products. If you are taking any medication, or have any type of medical issue, consult with a doctor before using these products.